‘Maneki-neko’ are one of the most famous ‘Fukuomono’ in Japan. It is said that they invite happiness, money and people. class="margin_t10"In the Edo era, Naosuke Ii was the feudal lord of the Hikone Domain (now Shiga prefecture). he cat had saved his life. 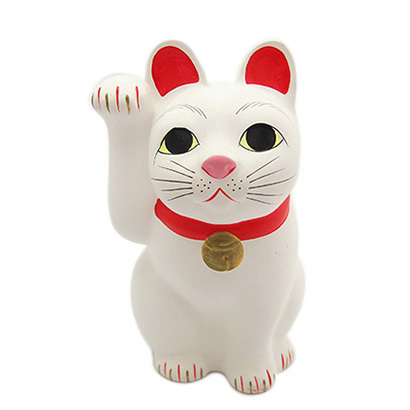 Ever since then people have worshiped white cats with raised hands as “Maneki-neko”.